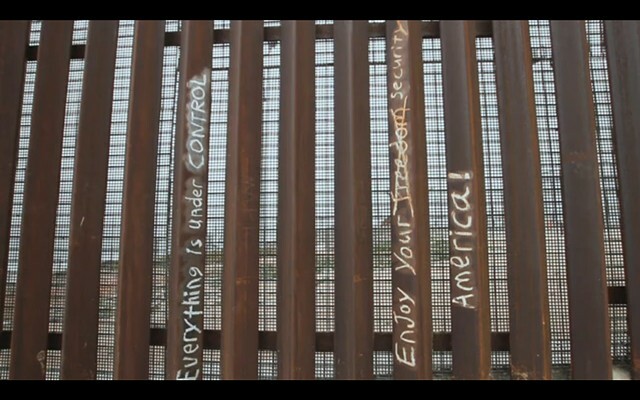 Fiamma Montezemolo's video-essay merges contemplative images, confessions, and theoretical reflections to form a meditation on border life between the U.S. and Mexico. Based on both years of ethnographic work in Tijuana, Mexico and an ascetic shooting schedule of 24 hours, Montezemolo refracts her own experience in the region by attempting to sculpt a textured living portrait of the wall that separates Tijuana and San Diego. Although not specifically commenting on the drug cartel wars, Montezemolos video serves to pluralize the violence between the U.S. and Mexico, speaking to how the border itself contributes to two major spheres of violence: drug trafficking and border crossings.